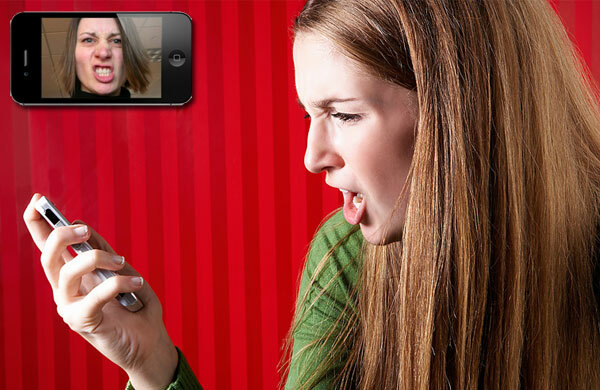 Did you imagine that Smartphone’s become capable of sensing human emotions? It sounds amazing or unbelievable. According to the new research project from the University of Rochester, they aim that mobile can be a human sensor detector or your phone is capable enough of measuring your emotions such as how you’re speaking. The developers focus on a small change in a human voice rather than using the traditional style of self-reporting and monitoring body language. The basic terminology in this system is measuring twelve different areas of speech. According to Wendi Heinzelman, the professor of electrical and computer engineering, said that the project analyzed completely motionless phrases such as saying month of the year, amazingly they are able to reach an eighty one percent accuracy while previous attempts were only near to fifty five percent. Take a look at Apple’s Siri; it’s designed exactly like human likes and dislikes by offering funny answers, apologizing and using more realistic speech. This gives us a better experience because it calculates the human interaction. Now, think about this technology integrated to Apple Siri. Whenever you’re getting bored or frustrated, it could gives you a hint on how to interact better and whenever you’re in sad mood then it could throw in compliments for you. In fact, by using this technology anyone are able to understand the words directly with their love ones and it is extremely difficult to execute a lie in front of an aphasic because they are so sophistically adept at picking up the hidden emotions. This story truly illustrates how much of our emotion states and expressed verbally, and how useful this research really is. For Instance, the tool is very helpful in courts in front of Judge, if an accused tell a lie then there emotions can easily be trapped. Also this research can benefit to humans but in some aspect this technology is very harmful in many cases such as, if you give a fake emotions in front of your loved one then they can easily judge you that you’re a liar. You know that your smart refrigerator and your robo-vacuum are susceptible to malware — or, at least, you should know that. Stories of IoT devices becoming targets of cyber attack have been rampant since smart tech first became available on the consumer market. It’s important to choose a good domain name for your brand. Not only will it serve as a first impression for potential customers, but it can also make or break your brand awareness in the long run. Here are just a few tips to ensure that you choose the right domain name. Super Ball Bot – A Robot Launched by NASA!